Harold Hawthorn Myers (1886-1952), Son of Eveleen Myers. Sitter in 52 portraits. As a child, Eveleen Myers had posed for the celebrated photographer, Julia Margaret Cameron. Visits to Cameron’s studio may have inspired Myers to take up photography in 1888. Myers primarily photographed her children, but also set up a studio in the family home Leckhampton House, Cambridge, where she took portraits of eminent contemporaries. 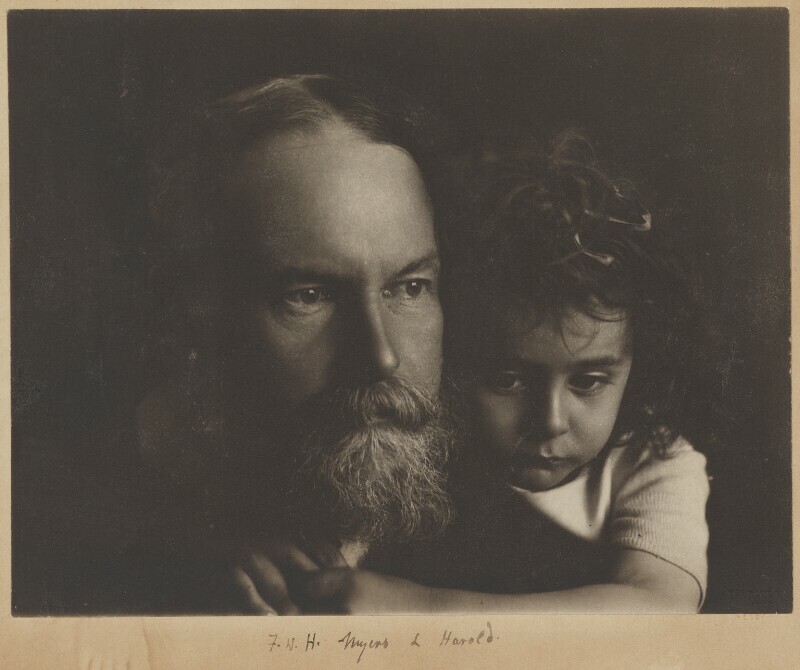 This carefully composed and intimate portrait shows Eveleen’s husband, Frederic W. H. Myers, the poet, essayist and founder of the Society for Psychical Research, with their youngest child Harold.